In this week’s brain tumor news roundup: a changing landscape for pediatric ependymoma treatment, a new technique that might make the so-called Blood-Brain Barrier less of a factor for tumor treatment, Meghan McCain dishes with Ricki Lake on medical marijuana for GBM patients, and a heartwarming story from Wisconsin featuring puppies! Emma Mertens, a young girl in Wisconsin with an inoperable DIPG, became internet famous when she asked people to send her pictures of their dogs to keep her spirits up. The local police department decided to take it to the next level for Mertens. 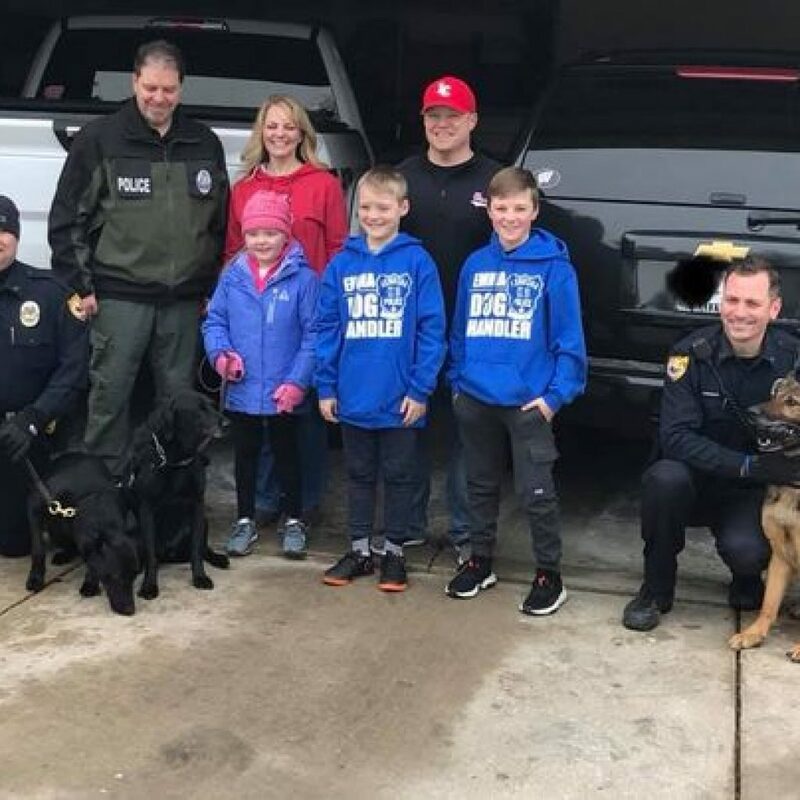 Not only did they show up with a couple dogs from their own force—they contacted every K-9 unit in the state of Wisconsin and asked them to pay the young dog-lover a visit. All told, she got to meet more than 40 dogs to make her feel special. One of the great challenges in treating primary brain tumors is the difficulty of getting drugs past the blood-brain barrier. The BBB is a mechanism of the body to protect brain tissue from harm, but when someone needs to be treated for a brain tumor, it gets in the way of what doctors need to do. Now a neuro-radiologist at Stanford School of Medicine has developed a technique that can use ultrasound beams to help compounds cross the BBB at targeted spots. As this technique advances, it could become a tool to more safely study healthy and cancerous brain tissue, prepare patients for surgery, and deliver medicine. Meghan McCain, daughter of late senator John McCain, spoke to former TV host Ricki Lake last week about medical marijuana and her father’s illness. 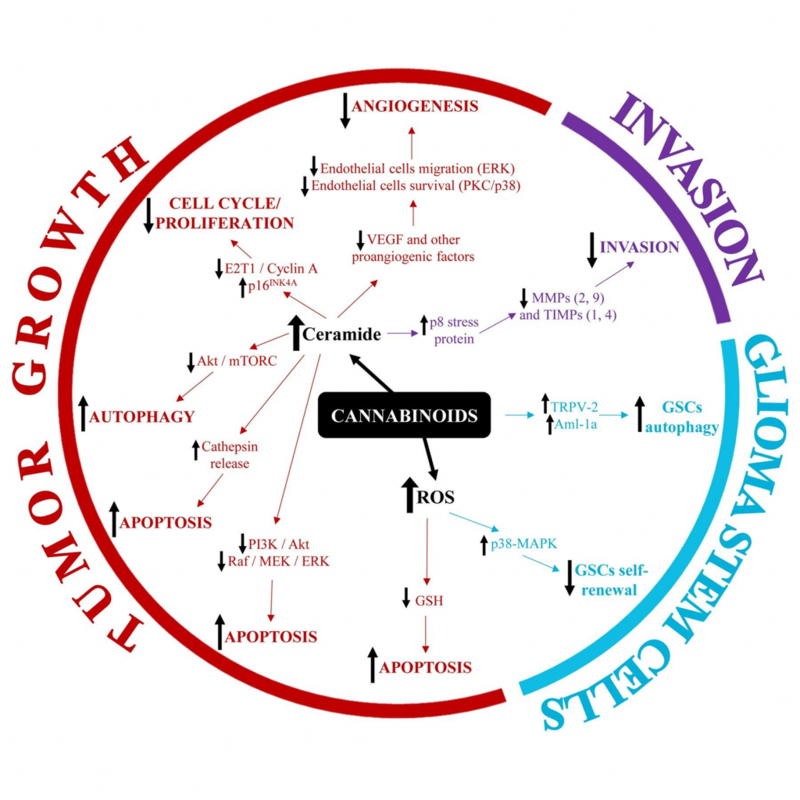 She discussed a study published in Frontiers in Neuroscience that found patients who were given a combination of THC and CBD, the main active compounds from marijuana in addition to chemo and radiation lived longer than those given chemo and radiation alone. Ms. McCain said she was frustrated by the continuing stigmas around marijuana. Last week we shared a story about a research team working on ways to shut down GBM stem cells as part of tumor treatment. This week we see another team showing promise along the same lines. This one comes from the nonprofit Scripps Research Institute in San Diego. The team there has developed an early version of a compound they are calling RIPGBM. So far they’ve tested in mouse studies and have seen it kill GBM cells 40 times more effectively than temozolamide. They published results in the Proceedings of the Natural Academy of Sciences. The researchers plan to continue developing this technique in animal models and hope to ultimately conduct clinical trials.